I tout the books of friends and writers I admire here on the blog from time to time, but as good fortune would have it, lately I’ve been getting a lot of news about books from former classmates! I did my doctorate in English at the University of North Texas, where I had the tremendous good fortune to work with some profoundly talented people. And even though my specialization was fiction writing, one thing I loved about UNT’s program was its insistence on diversity, so I got to sit in classes with a lot of poets and essayists, some of whom became good friends. 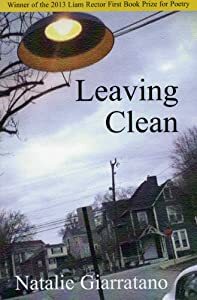 This past month, one of those poets, Natalie Giarratano, published her first book, Leaving Clean. That in itself is a huge deal, but even more impressive is that her book won the 2013 Liam Rector First Book Prize in Poetry. It’s already getting rave reviews, and I’m not surprised at all — one reason I gravitated toward the poets I did was because of their talent (I’m in awe of good poetry), and Natalie was one of the best and most serious of the bunch. There’s something so subversive about her ability to make a deeply moving piece of political poetry look at first like a beautiful painting. And she has an almost surgical ability to pinpoint emotional threads and pluck them. She’s a true artist. But she’s not alone. This week, one of our fellow classmates, the delightful David Shattuck, opens up the pre-ordering for his first book of poetry, Invisible Cities. David was always one of my favorite guys to hang around in grad school — great for drinking beer and cracking inappropriate jokes with in the bar, but equally great for having quiet, serious conversations about love and God and philosophy outside of class in the warm night air. And his poetry always reflected that combination, surprising people with its intellectual resonance — his was always poetry I wanted to read three times in a row, and still I always felt there was something rich lying just under the surface that I needed to get to. And yet it never felt pretentious: David has this wonderful honesty about him that is an essential part of his poetry, and I can’t wait to read his book. Of course, I went to school to fiction writers, too. In addition to Darin Bradley (who just announced in an interview last week that his brilliant first novel Noise is expanding into a loose thematic trilogy) and the horror writer Eric Grizzle (who is widely anthologized and needs to come out with a full-blown book in a hurry, because I love his stuff), I also briefly overlapped with the novelist Danny M. Hoey, Jr. I’m sad to say I never sat in a class with the guy, but we shook hands over drinks at readings on campus while I was finishing my dissertation and I’ve gotten to know him a little since then. His first novel, The Butterfly Lady, is making waves already, winning the Winter 2013 ForeWard Firsts award and landing Hoey an interview with Lambda Literary. And there were scholars, too. Granted, the creative writers rarely crossed paths with the literature scholars outside of classes, but I ran into a few, like Darin Bradley and, briefly, David Gillota. Fortunately, David and I met up again in Wisconsin, where he and his wife Amanda Tucker were both teaching in the same English department I was. (Small world!) 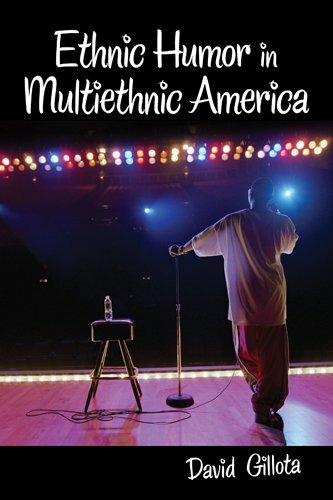 At the time, he was working on a scholarly book about ethnic humor, initially in American fiction but, at the time, he was rapidly expanding the study into other areas of popular culture. The result is his first book, Ethnic Humor in Multiethnic America, by all accounts both a witty and a wryly brilliant look at American culture, American humor, and issues of race and identity in pop culture from comedy sketch shows to children’s animation to novels. . . . It’s such an effective first book of scholarship that it’s already got a plug in the Chronicle of Higher Education. And there are the people I loved working with from whom I keep waiting to see books: the poets Brianna Pike and Michael Levan; the fiction writers Andrew Mortazavi and Amos Magliocco; the essayist Kristen Keckler; the scholars Laura Thomason and Rima Abunasser. . . . Seriously, publishers, if you’re looking for great books to put out there in the universe, start with the alumni from UNT’s graduate programs in English. If only to fill my bookshelves.